The state's ruling partners are also part of the NDA at the Centre, but relations between them are strained for quite some time. 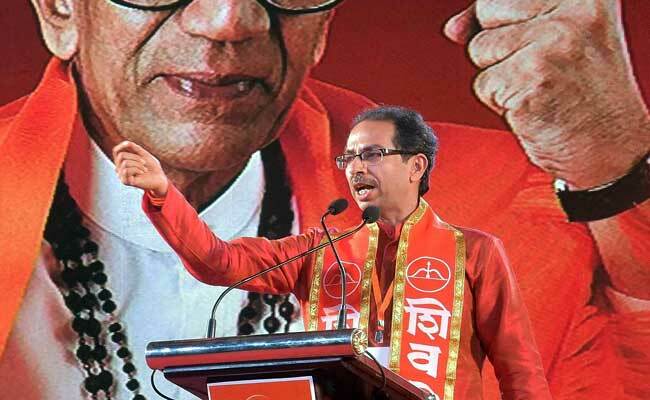 Shiv Sena chief Uddhav Thackeray today dared his party's ruling ally BJP to "resign" from the Maharashtra government and face midterm polls. "I challenge you to resign from the government and face polls once again. We will show you the Shiv Sena's power. Even during the (Modi) wave, the BJP got votes in Sena's name," Mr Thackeray said, addressing a rally for a local election in Nanded. Mr Thackeray also took swipe at Prime Minister Narendra Modi over his Gujarat visit. "I was watching news on television today. Saw the PM campaigning for the Gujarat polls which are two months away. How did he suddenly remember his school today? Did he not feel like visiting his school before? Why before the polls?" he asked. PM Modi today visited Vadnagar, his birth place in north Gujarat, first time since he became the Prime Minister. He also visited his school. Mr Thackeray also said people were now forwarding a joke on social media that the Prime Minister of India 'may visit India soon', apparently referring to PM Modi's frequent foreign tours.